Has Your Dock’s Electric System Been Inspected? With summer and plenty of lake visits just around the corner, the Grand River Dam Authority wants to remind all dock owners of the importance of maintaining compliance with dock electrical systems and dock electric system inspections. Not only can a proper inspection give you peace of mind that your electrical system is in proper working order but it could also prevent serious injury or even death. Unfortunately, when these dock electrical systems are faulty, they can prove to be very dangerous. System defects can cause electric current to be discharged into the water or the metal components of the dock. That is why GRDA-issued dock permits (you can find all GRDA required permits HERE) require you to have your dock inspected by a licensed professional electrician. These inspections focus on several key areas including proper grounding, conduit, breakers, wiring, dock receptacles, dock metal works and electrical service boxes. A completed electrical certification form signed by an Oklahoma Licensed Electrical contractor before a final permit will be approved. Dock standards also require docks to have an electrical disconnect clearly identified and located above the high water mark. Also, any residential dock that has electrical service must adhere to the regulations set forth in the National Electric Code. Finally, any docks constructed or modified, relocated or transferred, are required to provide GRDA with a certificate signed by an Oklahoma licensed electric contractor, showing compliance with all laws, regulations, and codes regarding electrical systems and wiring. 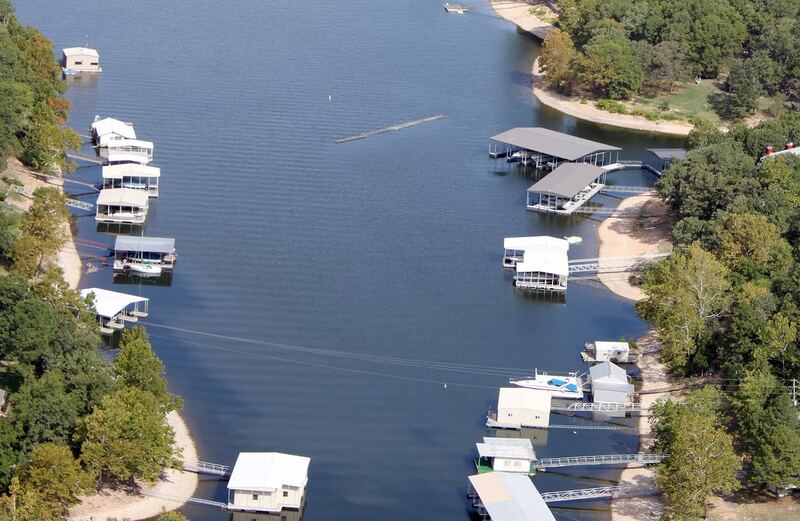 For more information on dock permits or other GRDA lake permitting issues, contact Janet DelliSanti in GRDA’s lake permitting offices at (918) 256-0852 or stop by the GRDA Ecosystems and Education Center in Langley. You can also find a listing of most of the electrical contractors in the Grand Lake area HERE. Headquartered in Vinita, GRDA is Oklahoma’s state-owned electric utility; fully funded by revenues from electric and water sales instead of taxes. Each day, GRDA strives to be an “Oklahoma agency of excellence” by focusing on the 5 E’s: electricity, economic development, environmental stewardship, employees and efficiency.